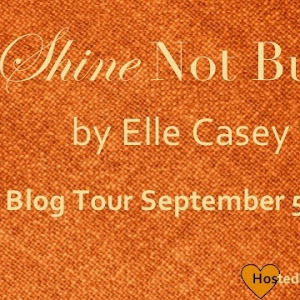 Shel: Have you ever read a book whose character makes a really poor choice early on and you just know that things aren't going to go well for this character? Well, without spoiling things, let me tell you that Sawyer (our heroine) makes a choice, from a place of love, and that choice was the cause of my angst and face palming during many scenes. There was a lot of nononononooooo and shaking my head. And then when her choice was taken to a certain point, all I could do was brace myself for the fall out that would come. I will say, to Sawyer's credit, that she struggled with all the responsibility that came with the choices she made and while I hated her struggle, it made her sympathetic. I definitely couldn't do what she did and do it successfully...at least I don't think I could. Love makes us do strange things sometimes. Court: I could see why she was so committed to her path and was sympathetic to her plight as well. The story line was fascinating, and kept me right in there up until the wee hours of the night. I couldn't put it down. 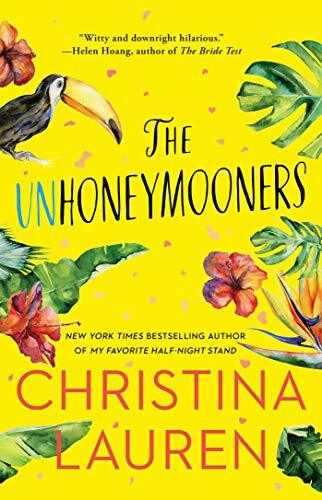 Secondary characters like her sister, and her parents and Jenkins really made this novel a fun time, I laughed...and yet I cried. And angsted. And wanted to just smack all of them at the same time. And we loved that. Lol! Shel: Aden, Sawyer's love interest, also made a choice that devastated him and it's one that impacted his daily existence. All I could think about was how awful it must be to feel all the things he did and not have (or feel like he had) adequate ways to cope and live with what he carried in his memory and in his heart. My heart was heavy for him and so when he saw Sawyer as a way to alleviate some of his burden, even if I knew it probably wasn't the healthiest option, I wanted that for him so badly. I wanted both of them to have the respite they found in each other--but the struggle to get that was huge. Court: Ugh. He is complex isn't he! He's a enjoyable character as well. He is funny, and kind and beautiful in my mind...but he is heavily flawed so therein lies our plot struggles. These two are really dealt heavy things and finding their way together is going to be a challenge. 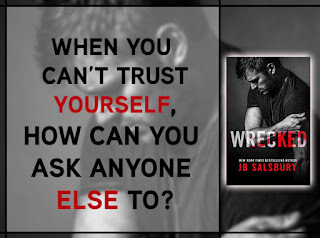 I loved the setting and as always JB Salsbury's writing really makes my life complete because it is SO good! She makes great characters with well researched problems, their struggles and story make them feel like my friends and I just want to help them with their problems but they just won't listen! Shel: That struggle, though, is what makes the ending so extra special. The feeling of happiness and warmth that exuded from the pages of the epilogue were like a balm; it's one of my favorite epilogues I've read in a while. 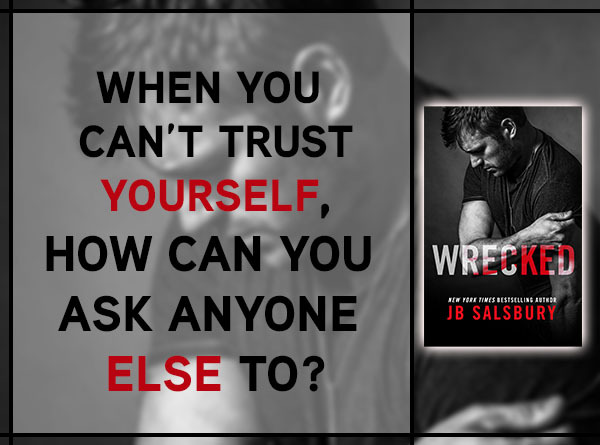 Wrecked may have the potential to wreck you, but the ending will leave you smiling. 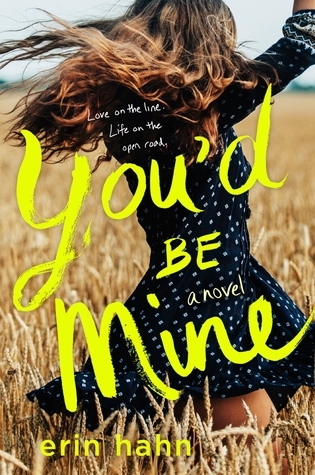 Court: I was wrecked for a while, and then put back together because this story is realistic and heartfelt and really just a great addition to your reading life if you decide to pick it up!